A consummate soloist, Ms. Rosens superb musicianship is enhanced by her many chamber music activities. She has collaborated with the worlds finest musicians including Leon Fleisher, Richard Goode, Andras Schiff, Mitsuko Uchida, Isaac Stern, Robert Mann, Sandor Vegh, Kim Kashkashian, Lucy Shelton, Charles Neidich and the Juilliard, Emerson, and Orion Quartets. She is a founding member of the ensemble La Fenice, a group comprised of Oboe, Piano and String Trio, as well as a founding member of the world renowned Mendelssohn String Quartet. With the Mendelssohn String Quartet she was Artist-in-Residence at the North Carolina School of the Arts and for nine years served as Blodgett-Artist-in Residence at Harvard University. The Quartet which disbanded in January of 2010, toured annually throughout the world for 31 years. In the fall of 2008 Ms. Rosen joined the Lions Gate Trio, an ensemble in residence at the Hartt School of Music. She performs regularly at festivals including the Caramoor, Marlboro, Santa Fe, Ravinia, Saratoga and Bridgehampton Chamber Music Festivals, the Seattle International Music Festival, the Lockenhaus Kammermusikfest in Austria and the International Musicians Seminar in England. Since 1986 she has been the co-artistic director of the Chesapeake Chamber Music Festival in Maryland. Marcy Rosen is a graduate of the Curtis Institute of Music. 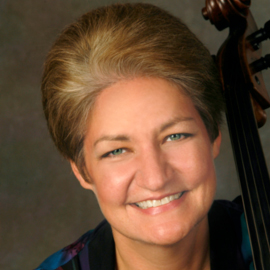 Ms. Rosen is currently Professor of Cello at the Aaron Copland School of Music at Queens College and on the Faculty at the Mannes College of Music in New York City. She has also served on the faculties of the North Carolina School of the Arts, the Eastman School of Music, the New England Conservatory and the University of Delaware. Her performances can be heard on recordings from the BIS, Bridge. Deutsche Gramophone, Sony Classical, CBS Masterworks, Musical Heritage Society, Phillips, Nonesuch, Pro Arte, and Koch labels among others.